Some years ago now I was informed that a number of recent pieces I had written were “micro-fiction/flash fiction”. This was news to me as I was under the impression that I was writing prose poems. Intrigued I started some investigation. What was the difference between a prose poem and microfiction? Where did the boundary lie between micro fiction and the short story? How many degrees of separation was there between a haiku and an epic novel? So where to start? If you believe Mallarme then the search ends before it begins as he famously stated in a 1891 interview that “In the genre called prose, there are sometimes admirable verses, of all rhythms. But in truth, there is no prose: there is the alphabet and then there is verse”. So there is poetry and prose poetry and then ……words. “the base unit of the prose poem is still the image, whereas flash fiction, is about character and character development”. “Prose poems are poems crafted with the traditional sentences and devices of prose writing but still relying heavily on poetic devices such as heightened imagery and precision of language. Basically a prose poem is a poem without line endings and flash fiction is a short story without the length,. When we come to the difference between micro/flash fiction and the short story I am on much firmer ground as I have developed my own method of categorisation based on train travel. Many years ago, as I travelled to and from work, I realised I could, for the most, part, use the daily train journey to categorise fiction. If I was travelling, for example, in Sydney, from a middle suburb such as Epping, Lidcombe or Hurstville to the city each day, then I could expect to finish the average novel in a week of toing and froing. A novella should be able to be finished in a single day’s journey to and from work, while a short story should be able to be commenced waiting for the train and completed before I stepped off in the city. To take this to the final level a single micro/flash fiction piece should be able to be completed between stations. 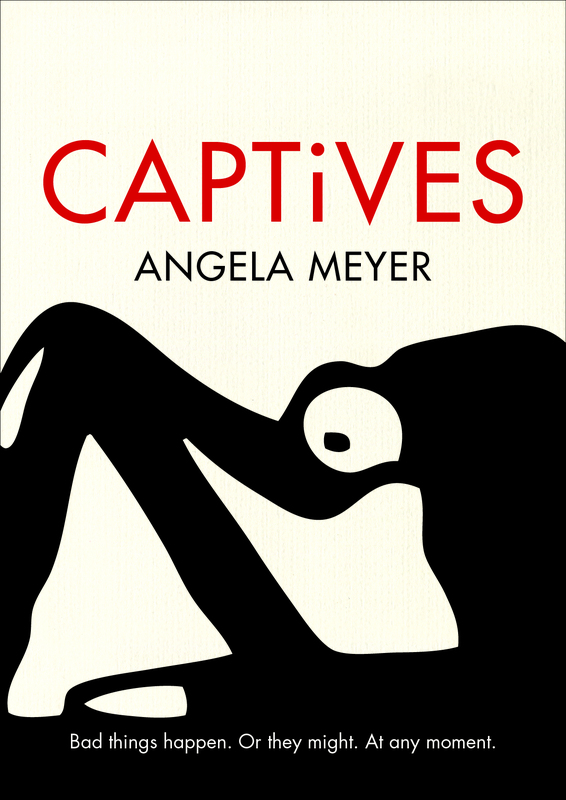 Angela Meyer’s first collection, Captives, allowed me to travel around the Sydney train network testing out my theory – and for the most part it was borne out. While I found one could just squeeze in one of the longer pieces, like ‘Nineteen’, between Waverton and North Sydney, I could easily devour three pieces between Chatswood and North Ryde. Besides being the perfect train read, however, Meyer’s microfictions also provided the final evidence that Mallarme got it wrong – beyond poetry and prose poems there is prose and the shortest piece of prose can be just as impressive as the most accomplished epic novel. There is perhaps a hint of Katherine Mansfield in these two sentences – so much is conveyed in very few words – shots, duck falling, shouting, dogs barking and the dawn sky. The next sentence turns the piece on it’s head as we learn the woman’s fiancé is pointing his gun directly at her. While short pieces like ‘The day before the wedding’, which open up multiple possibilities in the space of a handful of words, are the highlight of this collection, Myer also shows herself to be at home in longer pieces such as ‘Nineteen’ which, according to my train station analysis, is almost approaching the category of a short story. The look and feel of the book adds to the overall success of Captives. The book itself is quite small, recalling for me at least City Lights Pocket Poets editions. The collection is grouped into a number of sections and is set off by a series of simple images which I was surprised to read had been adapted from the notebooks and papers of Franz Kafka. Captives is a stunning first collection and a must read for anyone interested in short fiction / Micro Fiction. It is the sort of book that you will remember long after you have left the train station. Mark Roberts is a Sydney based writer and critic. He currently edits Rochford Street Review and P76 Magazine. He also has a number of manuscripts looking for a publisher. This entry was posted in Angela Meyer, Captives, Inkerman and Blunt, Issue 13 and tagged Australian Literature, Australian Short Stories, Flash fiction, Mallarme, micro fiction, Microfiction, prose poem by Mark Roberts. Bookmark the permalink.